This is my first attempt with the Silver Foil Tape ! I added a mirror butterfly, or half of it! 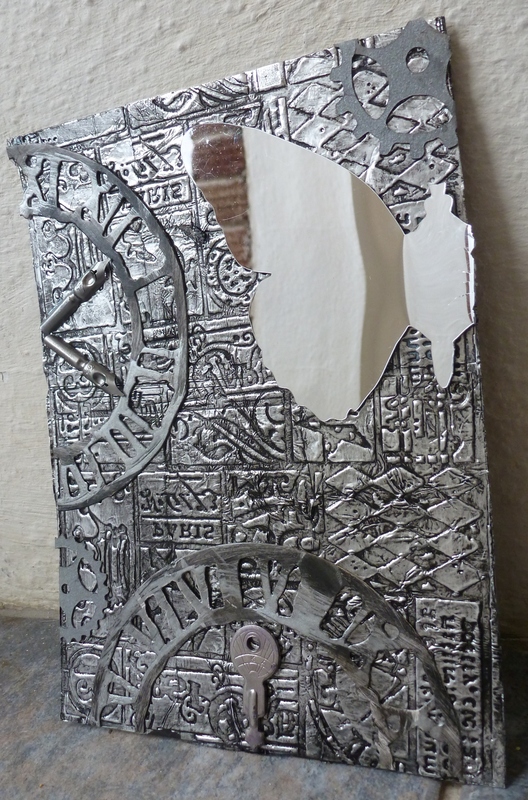 I embossed the taped card with Tim Holtz embossing folder and added cut TH Clock dies which I painted silver. Added pen nibs to one clock and a key to the other. Really inspiring project, so imaginative…love it.